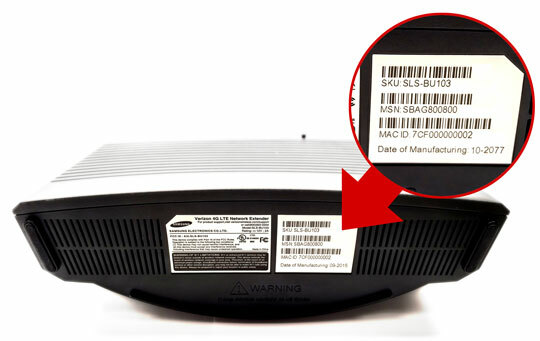 From the bottom edge of the device, view the following information on the bar code label. Additionally, the SKU (Stock Keeping Unit) can also be verified on the bar code label. A magnifying tool may be needed to the view the info. Reference the device display to determine the MAC ID. Press the Menu button to the right of the display until the MAC is visible. 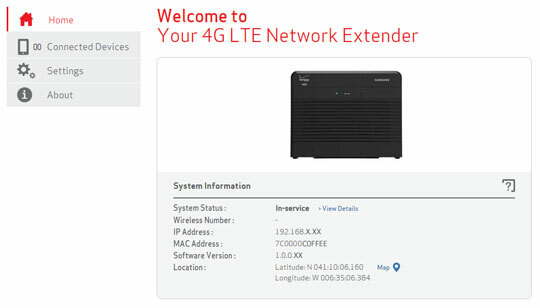 Access the Network Extender Admin then if needed click Home (on the left). From System Information, view the MAC Address.